Have you ever wondered how IVC began? One of the founders, Mr. Reg Simeone, contributed the following article to the Reading IVC bulletin in November 1967. During its preparation, to which he devoted much time and energy, he traced his fellow founder members and was delighted to renew old friendships. This version was included in the AIVC Bulletin in November 1979. The idea of IVC was conceived in May 1946 in the Scotch House Tea Rooms in Cambridge. Michael Wolff and I, both undergraduates at St.John's College, were having tea there and we were talking about the informal dances I was then running in Cambridge for the International Students' Service. We were regretting that there would be no dances of this type during the long vacation. Then the idea came. Why, we asked, should we not run such dances ourselves? We both lived in London where there must be many students on vacation wanting to continue the sort of social life they enjoyed during term time; we would enjoy running dances; a lot of people ought to get fun out of them; and with any luck, we might even make a small profit! The more we talked about the idea the better we liked it. We managed to raise enough money to pay for the hire of halls and bands and for advertising. And then we set about planning six fortnightly dances spread over the summer vacation of 1946. Most were in the Chelsea Town Hall but for two occasions this was already booked and we went to St.Pancras instead. We thought that ideally the dances should be run by a Club so that attendances could be suitably restricted. We were not then in a position to set up a properly organised Club although we intended to do this if the dances were a success. However, we anticipated this by inventing the name 'Intervarsity Vacation Club' (I.V.C.) and we advertised the dances under this name. We also enrolled members which gave us a mailing list for future use; but as the Club did not exist as a legal entity we did not charge a membership fee. We trudged around Cambridge and London putting up our posters and making contact with the Students' Unions. This brought in a membership of several hundred but we did not know still if people would come to the dances. We waited the first dance early in July with bated breath; to our great relief it was a success. Some of the other dances were also successful while others were not so well attended. But we broke even financially and the idea of an Inter-Varsity Vacation Club had clearly caught the imagination. When the summer's dances ended, we were encouraged by people from many universities to follow the idea through by setting up a real Club and making the dances a regular feature of vacation life in London. There were enough genuine offers of help to make the effort worthwhile and we agreed to do so. There could be no question at this stage of electing a committee so we gathered together a group of people willing to help in putting the Club on its feet and set ourselves up as the first committee of the Club in the winter of 1946/47. Our chairman was Jean Cobbold (Bedford College, London), the Secretary was Michael Wolff, the Treasurer was Benjamin Tregear (St.John's, Cambridge) and I was Dance Organiser. The other members were Denis Randall (Wadham, Oxford), Valerie Barber (St.Andrew's) and Adrienne Wolff (Guildford School of Music and Drama). The first programme under the auspices of the Inter-Varsity Vacation Club proper consisted of three dances which took place in the Easter Vacation of 1947 in Chelsea Town Hall. The first was on Friday 28th March, the night before the Boat Race, and was a sensational success. There were about six hundred people there and it was one of the liveliest evenings I can remember: one of my recollections is of competing Oxford and Cambridge attempts to swing the longest distance on the chandeliers. 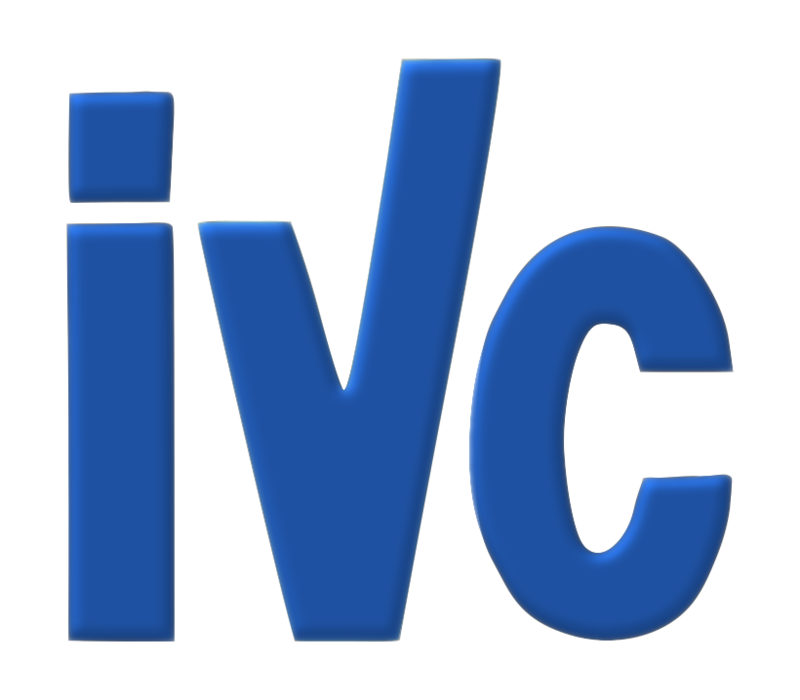 I.V.C. was well and truly launched on the Tideway! This period also saw the birth of the sub-Clubs. The first sub-Club activity of all was when Denis Randall and I took a group of about twenty members for a walk from Dorking Station in Surrey, over Leith Hill and back to Dorking on a sunny day in mid-April. Soon after Michael Wolff organised the first theatre party and Ben Tregear started the Riding sub-Club. During the summer of 1947 we planned the programme for the summer vacation. We drafted the first I.V.C. Constitution, with the advice of a firm of solicitors in Cambridge. We were also fortunate enough to persuade Professor John Wisdom of Cambridge University to become the Club's first President. By June 1947 the essential groundwork was done; the Club was a going concern and we now had to wait to see whether the success of the Spring dances had been 'a flash in the pan' or whether I.V.C. met a real need and had a future. Despite our having one of the hottest ever summers, when the attraction of London was if anything negative, the response to the dances and sub-Club activities was excellent. It was clear that I.V.C. could look forward to a permanent place in London life provided it was well managed and organised. This meant strengthening the Committee to provide more help to expand activities. Our first and most important reinforcement in that summer was when the Committee was joined by Tony West (at that time reading for the Bar) who was to play a major part in the future development of the Club as Chairman for several years (in 1967, Tony West became a Professor of Law at Reading University). During the summer the sub-Club activities were extended and the first bulletin was produced in July 1947. As the summer wore on enthusiasm for I.V.C. increased and many more people joined in to help. Some of these were to serve for many years on the Council or Executive Committee, notably John Salem, Peter Wright, George Mersee and Jean Carruthers. Thus by early autumn it was possible to hold a General Meeting for election of the Council and approval of the draft Constitution. Unfortunately my own association with I.V.C. was then interrupted while I was away for three years in the Navy. When I returned in 1950 the makeshift organisation of the first year had been converted into a highly efficient concern. The name had been changed to Inter-Varsity Club (still I.V.C.) - to reflect that the founders were no longer students wanting vacation entertainment, but graduates living in London all year round - and the Committee was soon beginning to consider hiring premises. There is no need for me to attempt to chronicle the history of these later years since all events from December 1947 are recorded in the Minutes of London Council and Executive Committee. During the first hectic year we were too busy planning activities (and taking exams in between) to be able to keep records. Those of use who were involved in building up the Club in those early days certainly had no idea that it would continue into a twenty-first year or that it would branch out into the nation-wide institution it is today (1967). R.N. (Reggie) Simeone, the co-founder with Michael Wolff of the IVC in 1946, was appointed a Commander of the Order of the British Empire in the Queen's Birthday Honours in 1985. This followed a distinguished and continuing career in the public service. He was born in 1927 and educated at Raynes Park Grammar School and St. John's College, Cambridge. After graduation he served as a Lieutenant in the Royal Navy, leaving in 1950 to join the Civil Service as an Assistant Principal in the Admiralty. This included a period as Private Secretary to the Permanent Secretary. Later as a Principal he served as Private Secretary to Christopher (later Lord) Soames. In 1959 he joined the UKAEA and apart from a few years as Chief Personnel Officer at AWRE Aldermaston (1965-1969), he worked in the London Headquarters most recently as the Comptroller of Finances and Administration from 1984-86 and later as a Board Member from 1987-88. Since 1988 he has been advisor to the Chairman of the UKAEA which became Nuclear Electric Plc. 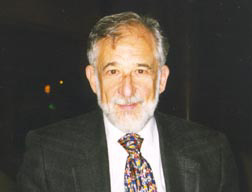 in 1990. He is married with two sons.